After Penguin and Panda, Google seems to have a new kind of animal in its bag, ready to go after us webmasters. It was recently announced, indeed, that big G would, in the foreseeable future, release a new major update aimed at low quality e-commerce sites. The big question now is what defines an a low quality e-commerce website? Essentially, besides the usual backlinking and on-page content issues, we believe it is all about trust. – Have a phone number and a physical address clearly stated on your website. This will give confidence to your clients as they will know you are attached to an actual location and that you are reachable by phone in case of trouble, you also could use a digital marketing agency to optimize your site so easy to find as well. If you haven’t done it yet, create a business profile on Google+, link it to Google Places and get your address verified. – Manage your online reputation : this one can be easily tricked and it is unlikely you will get penalized unless there are very concrete reasons to think you’re just not doing business right. But interacting with users who publish questions/comments/complaints about your e-commerce site will at least contribute to improve your reputation and prove that you do care about your customers – whether they’re happy or not. – Publish information on a regular basis : it is a good way to show that your business is active. It will erase doubts your potential customers may have about the health of your site by showing your alive and well. Nothing incredible or new in these tips, but it is always good to keep them in mind. 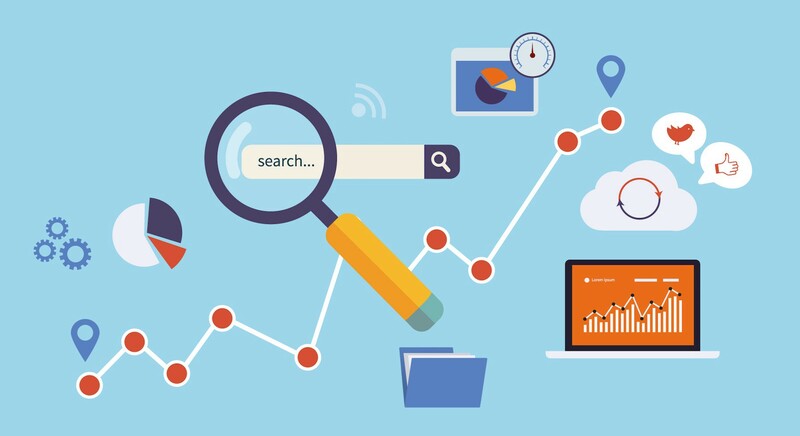 Applying these few tips may not have any impact on your search engine rankings today or tomorrow, but, and this is maybe even more important, they will help increase trust of your clients, and this will most likely translate into improved conversion rates. So if your business is not 100% transparent yet, you know what you’ve got to do! Back with new Japanese SEO offers! First of all, our apologies for the long time without updates and a Happy New Year to everybody! The past couple of months have been quite intense here as we worked hard to expand our network in Japan. The results of these efforts have been fantastic, and we are proud to announce a complete overhaul of our current range of services! Concretely, we have sealed a couple of very interesting deals with fellow SEO agencies. As a result, we now have a much more powerful network for services related to link building and traffic generation. -A complete solution including copywriting, on-page and off-page optimization. Paid advertising services also offered at a very reasonable price! We’ll soon publish more details about our new offers, and you can expect more announces and details in the next few days. According to different sources, Google finally released its Link Disavow Tool in the Google Webmasters Tools. Search Engine Land was one of the first sites to notice and try it. We’ll get our hands on the tool as soon it is released to Japanese webmasters and make a complete review of it, as well as share a few strategies on how you can disavow links to your advantage. All in all, that’s great news for those who were the innocent victims of negative SEO or who had a bit too much of a bad-link-building-boy moment! SEO Event in Kansai (Osaka/Kyoto/Kobe)? Hi everybody! I’ve been wandering a bit around the web lately and stumbled upon some fellow SEO consultants who live in or come around Kansai from time to time. One top that comes up a lot in our discussions is that there are hardly any foreigner entrepreneurs events around, when there are plenty in Tokyo. i know who’d be interested in organizing a small event in Osaka, Kyoto or Kobe to discuss SEO in Japan and entrepreneurship in general. Even if that’s just a bunch of guys going for a few drinks, it would be nice to have a meet-up in the area one of these days! If you’re interested, just drop a few lines here, and let’s see how we could make that possible. SEO and PPC campaigns are two great ways to generate traffic, but these methods can easily make us forget about other ways to get leads. Posting free classifieds can be one link building method you may want to use in your campaigns. They’re easy to post to and you have control over whatever you write. Well guess what: even nowadays there are people who actually read classifieds and follow the links that are posted there! I’ve got to admit I felt a little stupid when one my clients called me to say thanks for posting a classified, because someone found it and purchased my client’s product! It really made me thought about how important writing good copy can be crucial at every moment of your SEO efforts. Even if the odds of someone finding what you publish seem very low, you should try to put serious efforts in every single line of text you write. There are a good numbers of classifieds sites in Japanese, and you should have a careful look at them. Not all of them will allow you to link directly to your page, but they can still be a means of promoting your business. A small one, but isn’t that true that every single penny counts? Good Japanese Affiliate Programs Anyone? Affiliate programs are a big part of Internet Marketing and Japan is no exception to that. A lot of sites offer their own programs, but there are only few of them that gather large numbers of these programs in one place and give you the chance to have a single affiliate account. There is one big site that seems to be the very clear leader of the market: A8.net. It’s pretty simple, virtually every time I stumble upon spamblogs or satellite sites with too much on/off-page SEO in Japanese, I find affiliate links to this site. Amazon is popular too, but A8.net seems to be the one place affiliate marketers of all kinds gather at. If you’re after more exciting commissions though, I’d advise you to try reading a great post about digital marketing on a Google business site, see what seems to be profitable and then find individual sites you’re interested in and either pick the ones with the best commission rates or negotiate directly with site owners when possible. With time and a good set of keywords, you should be able to find websites that offer commissions in the 10-20% range for most of services and products that can be bought online. A quick word on Japanese E-books and software affiliations: there are no market leaders such as Clickbank in US/Europe that gather lots of them, but most E-book writers and SEO /software developers often have attractive programs. Again, it is worth to do your own search. If you know any good Japanese affiliate programs you’d like to recommend, please let us know in the comments!